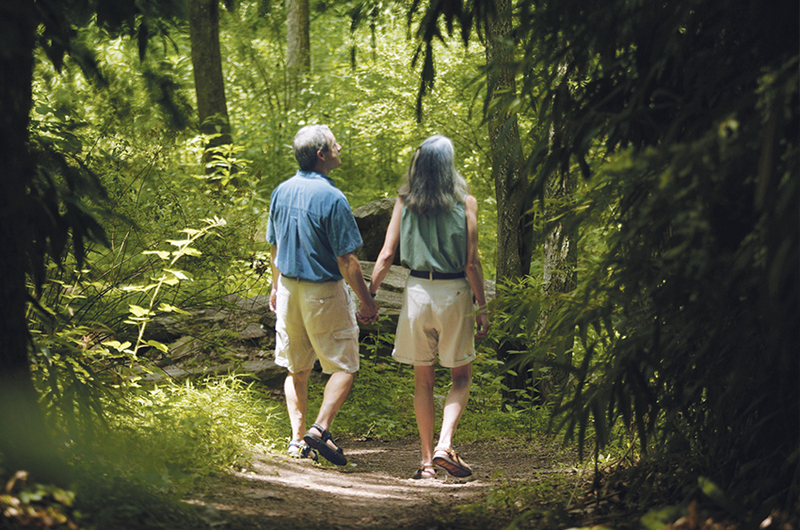 Experience the grounds at your own pace with nearly 22 miles of hiking trails. Enjoy a walk along the French Broad River, through lush green forests, or the open meadows of Deer Park. Take a stroll on the 2.5 miles of paths in our manicured gardens. Stop by the Bike Barn or Outdoor Adventure Center in Antler Hill Village for a detailed trail map and orientation. Call us for more details.